If you can’t get down with this post, we probably couldn’t be friends. That’s not to say that we couldn’t hang out. Perhaps even develop a genuine amicability, agree on much and get along swimmingly. But I wouldn’t want to lean on you, mumble lipped and saggy eyed at 2:45 in the morning. I couldn’t have my arm around you as the barkeep cut the dimmer for the first time since dusk, and the sloppiness of the remaining drunks is placed in the spotlight. 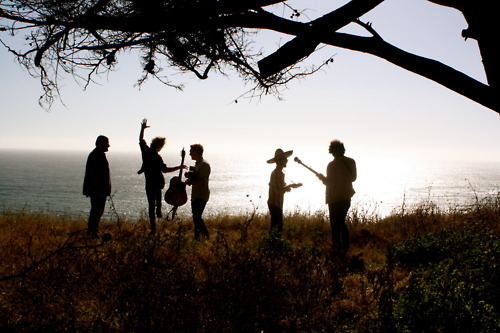 Tumbleweed Wanderers are no strangers to Thought on Tracks. Most recently we featured a video for their song “Quiver in My Bones,” which you can download for free as part of The Library Sessions EP that the band dropped this week via Bandcamp. Below you can stream their track “If Love’s Not Enough.” As the song fades out, Tumbleweed Wanderers launches into a cover of Sam Cooke’s “Bring it on Home to Me” that sounds destined for the type of late-night debauchery detailed above. Enjoy.